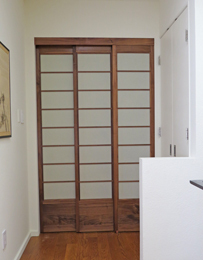 American Black Walnut is not often used in traditional shoji making. 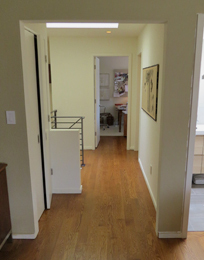 Our clients wanted the darkest wood possible to compliment the tan paper they desired. 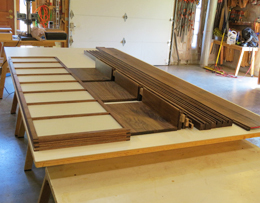 We settled on rift and quartered black walnut as the best solution. This wood is cut from the largest available trees in slabs parallel to the axis of the cross-section, resulting in clear vertical grain with few to no knots. While it may require skill and experience to straighten some rails, once this is done, it is both stable, obedient and uniform in appearance. 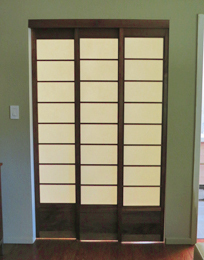 Final assembly of the three shoji panels. The rice paper is in place. 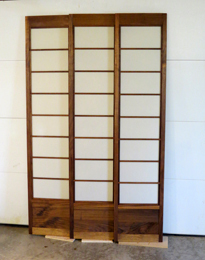 the kumiko grids on each side, the three horizontal rails and the bottom panel set into the two vertical rails, The six tenons are smeared with rice glue. 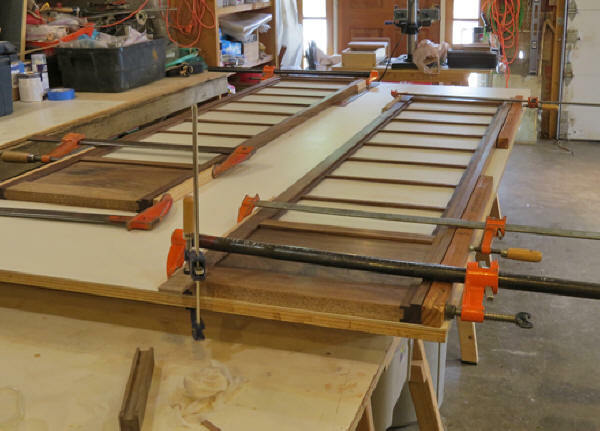 Three clamps suffice to hold the mortise and tenons tight while the rice glue dries overnight. When properly executed, no screws or other connectors are required. Traditionally, when you hold the blind mortise up to a light source, the light shows through the very thin layer of wood remaining at the bottom of the mortise. This is a tradition that we follow. 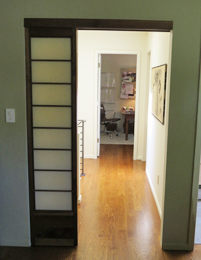 No door to the bedroom? 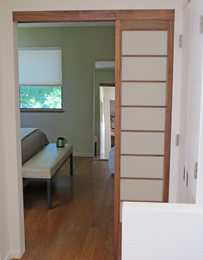 Shoji in place and opened.